This friendly furnished holiday apartments, on the second floor of a family house, is the perfect choice for a pleasant holiday. Enjoy the breath-taking view from the balcony. The accommodation is located on a small hill, in a calm part of Orebić. It is far from the turmoil, but still close to the beach, restaurants and supermarket. There is also a shared barbecue at yours disposal, as well as a parking space in front of the house. Visit the island of Korčula and taste seafood specialities and excellent wines, which are characteristically for this region. This modern apartment is made from brick or stone and was originally built in 2011 and refurbished in 2016. The agent has rated it as a three star property so it is a well-kept apartment, equipped with standard furniture. It is also good value for money. 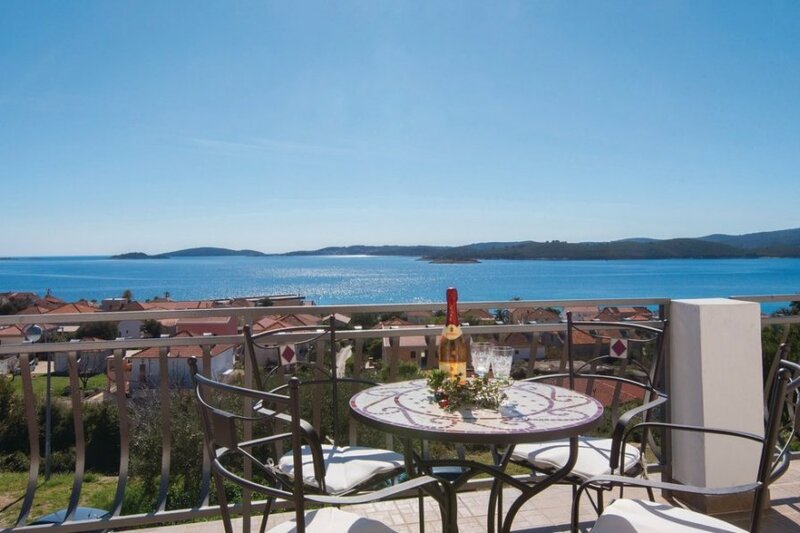 This apartment has beautiful panoramic view over water; it is also only 500 metres from Orebic. It is set in a very convenient location, just 150 metres away from a stone and pebble beach. There's also a restaurant only 150 metres away. The apartment has free wireless internet. You can also park on-site at no extra charge. 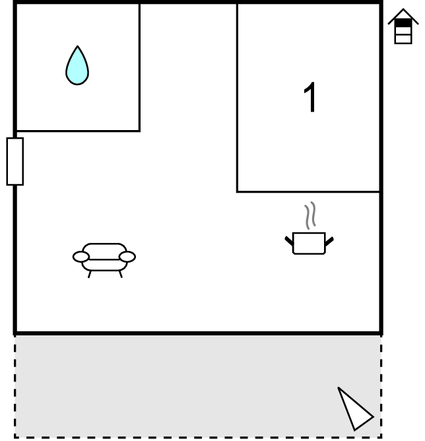 The apartment is well equipped: it has a refrigerator, microwave and shared washing machine. It also has a shared barbecue and some garden furniture outside.